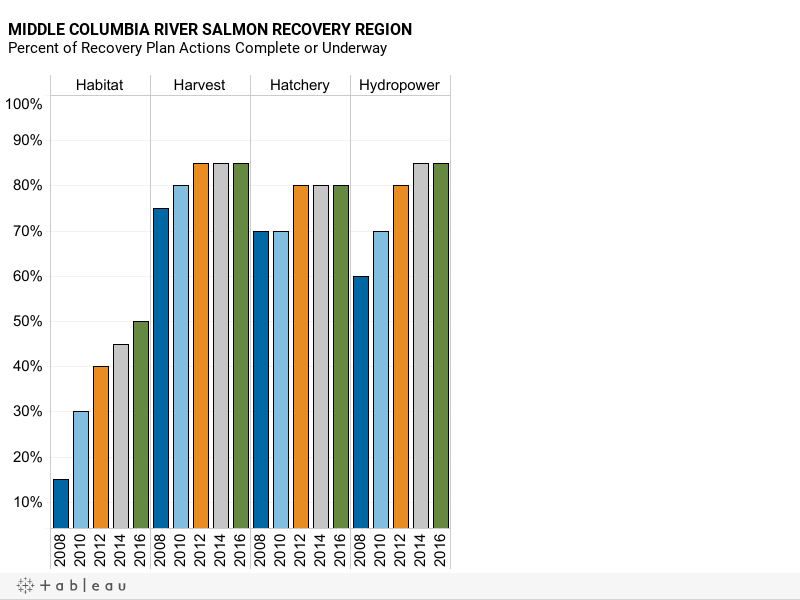 Data Source: Regional salmon recovery organization. Percentages are statewide averages based on estimates made by each recovery region of its progress implementing actions in recovery plans. These regional estimates are based on best professional judgment. The estimates describe progress in implementing recovery plan actions, and do not reflect the biological response of fish. Not every regional organization tracks recovery implementation progress for each “H” – hatchery, harvest, and hydropower.